Fresh off the plane from hours and hours of travel (Providence to Philly to London to Cape Town for me), our little band of safariers loaded into a van and headed to Kirstenbosch National Botanical Garden, one of the world’s greatest gardens. It sits on the eastern slope of Table Mountain, a sandstone uplift that dominates the skyline of Cape Town, South Africa. 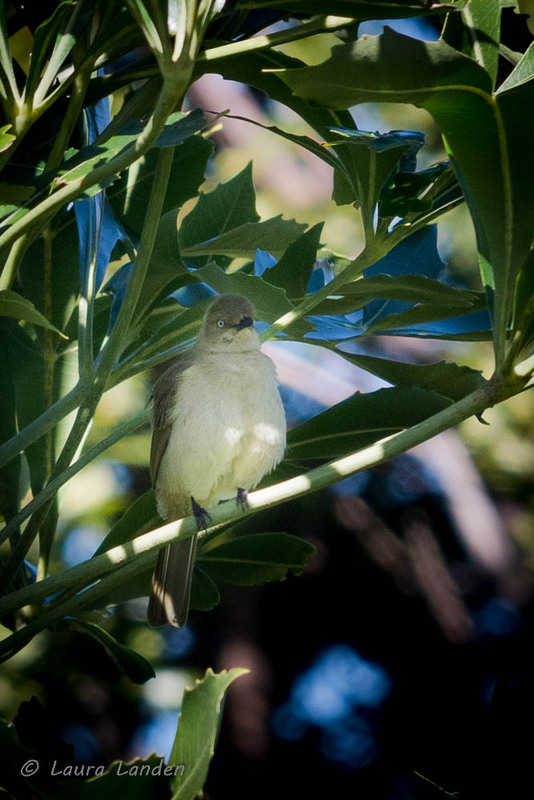 Home to a multitude of flowering plants, many from the unique fynbos floristic kingdom, Kirstenbosch also attracts a wide variety of birds. We walked around, crossing the canopy bridge, then ate lunch at the tea room. After lunch we walked more, then stumbled back into the van for the drive to our lodging at De Noordhoek Hotel. Many names in South Africa are from the Afrikaans language. “Noord” means north and “hoek” means corner, so we were staying in the north part of Cape Town. 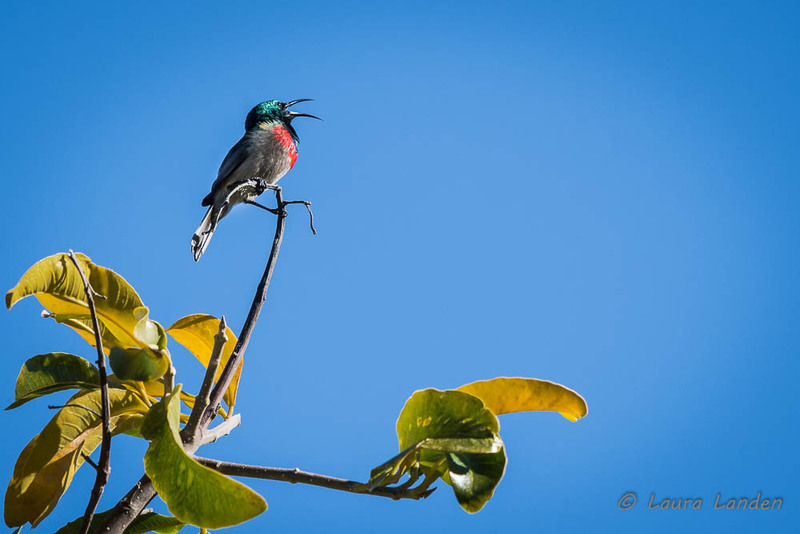 Our guide, Kim Walsh, works for Lawson’s Safaris, and is thoroughly versed in local wildlife, providing us with both common and scientific names of birds and plants. It was a pleasure being with her for the first week of our trip. Kim explained that fynbos is an Afrikaans name meaning “fine-leaved bush.” Also, “y” in Afrikaans is pronounced like a long “a”. Fynbos refers both to a biome and a vegetation type occurring on nutrient-poor sandy soils. 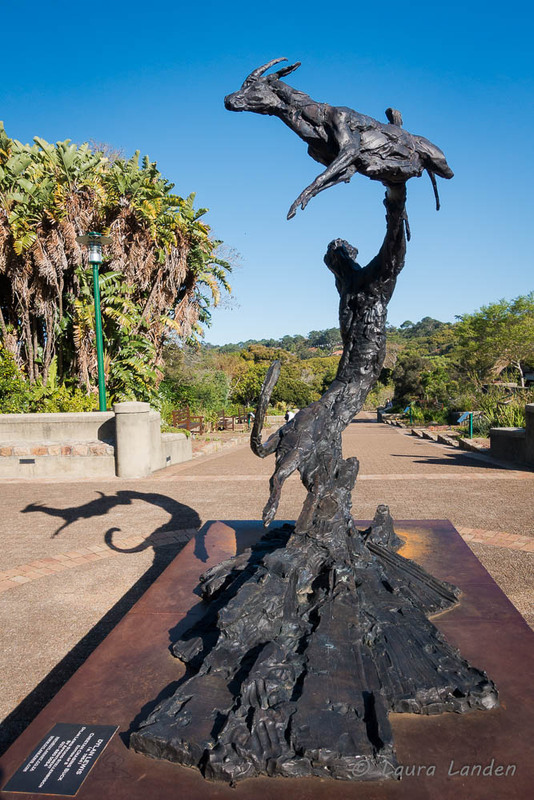 The dramatically balanced sculpture “Cheetah Chasing Buck” invites visitors to explore the garden’s treasures. 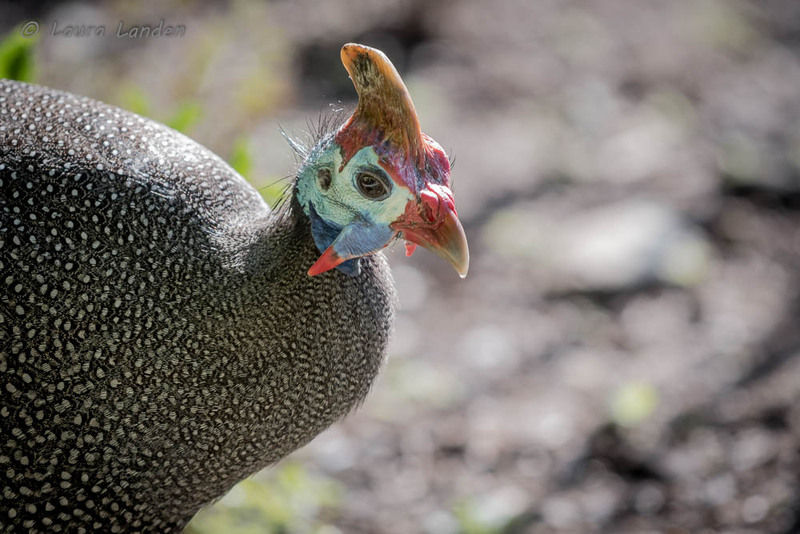 Some birds, like the Helmeted Guineafowl, were plentiful and easily seen. Others, when seen, are back-lit, making their brilliant colors harder to see but not to appreciate. 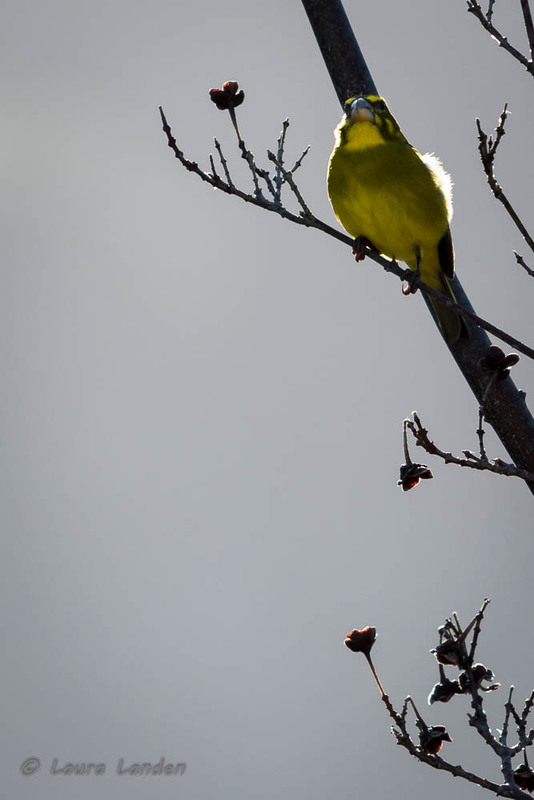 Still others, like the Sombre Greenbul, shun the light, preferring to shelter deep in the branches of trees. Among the most colorful and songful are the sunbirds. No hummingbirds are found in the Eastern Hemisphere, but that ecological niche needs to be filled. Both sunbirds and sugarbirds provide the service of pollinating nectar-producing flowers. They are larger than our hummers and do not hover, but they do move about quickly, sometimes perching in the open to sing, like this Southern Double-collared Sunbird. 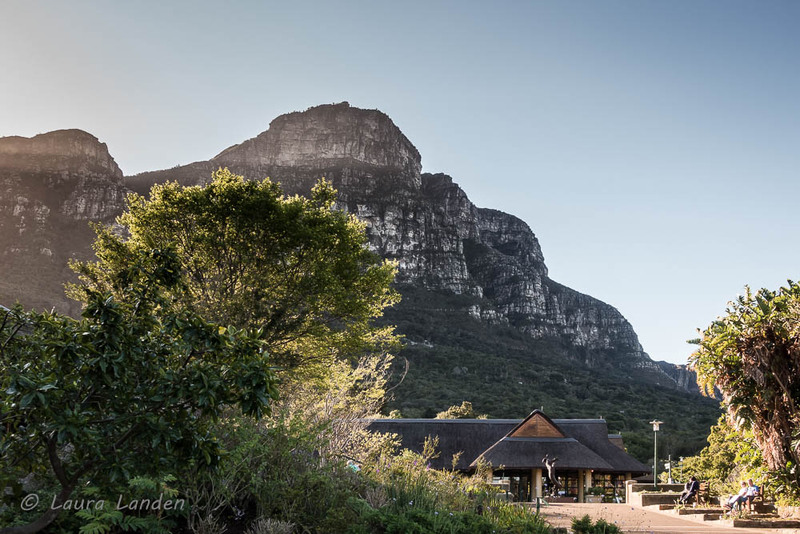 Enjoy this little taste of Kirstenbosch. Holy moly! What great pics. I think my favorite is the cheeta chasing buck. Thanks for sharing this beauty.